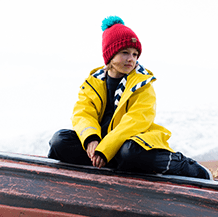 Explore our colourful selection of children’s waterproof coats and jackets. Don't let the rain ruin outdoors fun! 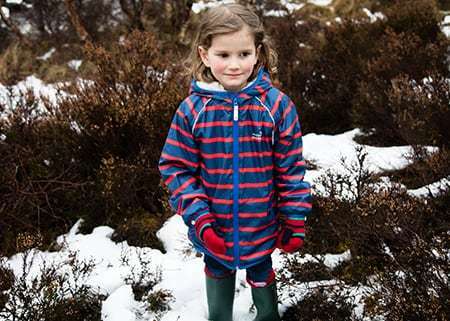 With Muddy Puddle's range of award-winning kids' waterproof jackets, you can feel confident that your little boy or girl will stay warm and dry all-year long, whatever the weather. 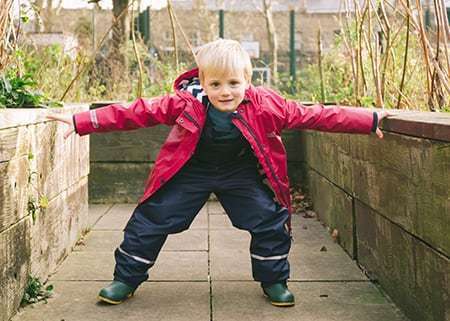 Our brilliant selection of insulated waterproof coats and jackets have been especially designed to suit children with an active lifestyle who love being out and about; come rain or shine. 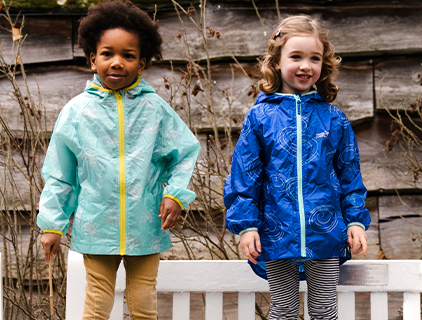 Each and every one of our kids’ jackets are comfortable, breathable and totally waterproof - where will your little one wear theirs? 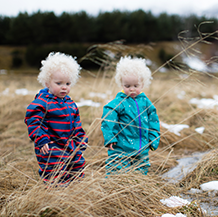 We have something for everyone: discover our amazing girl's waterproof jackets and boy's waterproof coats and even coats for babies. 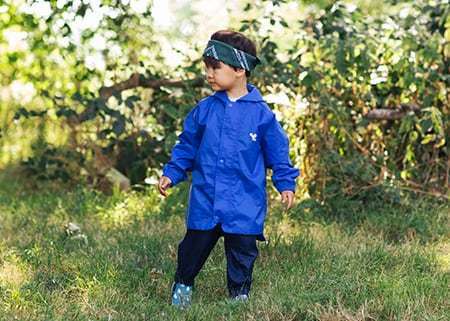 Featuring super waterproof linings, ribbed cuffs, taped seams, secure hoods, storm guards and removable fleece liners, our range of coats and jackets are designed to keep little explorers playing outside without the weather driving them back indoors. Discover also our brilliant and practical Pac a Macs that fold into their own pocket. 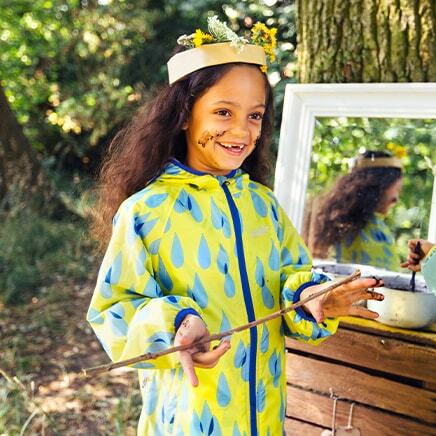 Created in a range of brilliant bright colours and playful prints, your child will love their stylish Muddy Puddles coat. And you’ll love it too when you’re able to quickly pick them out at the park or in the playground! 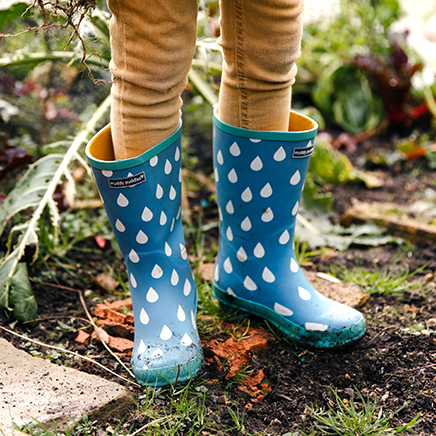 Match your jacket with our kids wellies and the rain won’t stop your little adventurers from having fun outdoors! 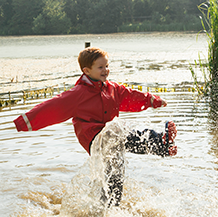 Don’t worry about the mud, muck and grass - all of our waterproof coats, from raincoats to ski jackets, are machine washable at an eco-friendly 30 degrees. 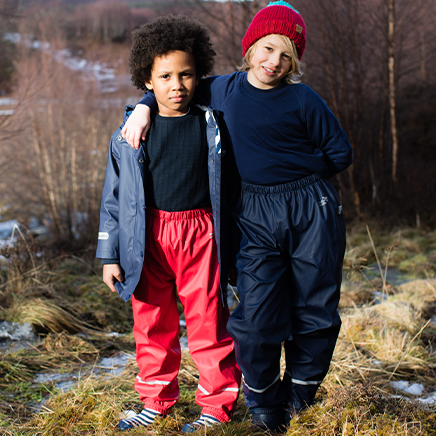 Pair our jackets with kids waterproof trousers, designed to keep your bold explorers dry and warm come rain or shine. Take your pick of our Original, Puddleflex, Ecosplash, Blizzard jackets and more - they’re all cleverly designed to help your explorer brave the unpredictable British weather whatever the time of year. 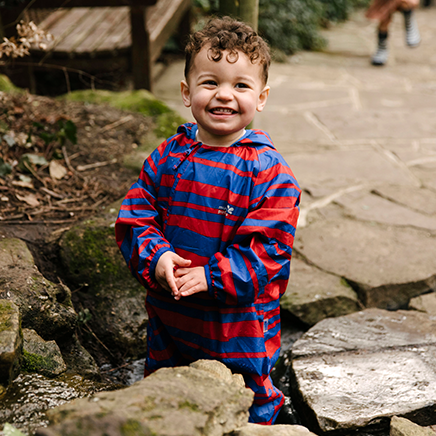 And best of all, many of our styles feature zip-out gilets and linings, meaning your little one will get plenty of wear out of it, whichever you choose. 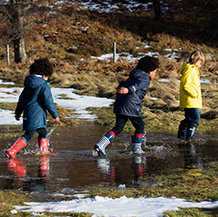 Partner our jackets with our toasty kids hats and gloves to make sure your little ones stay warm – whatever the weather.